The Institute of Oriental Philosophy (IOP) maintains a library of primary source materials on Indian, Chinese and Japanese thought, philosophy and religion. Its reference works include the Satapitaka (Hundred Baskets of Teachings), a compilation of Indian thought and philosophy. The IOP is creating a database of collected materials that will enable researchers to search for documents by computer. The collection consists of 30,000 books including eleven Buddhist canons, the Tibetan Tripitaka, the Koryo Tripitaka, several Sanskrit references and Pali texts. There are also general scholarly volumes on the cultural sciences, such as Gujin Tushu Jicheng, Taoist Canons and one hundred volumes of the Collected Works of Mahatma Gandhi in the 1960s published by the Indian government. The IOP receives nearly 250 different publications through exchanges with universities and research centers. 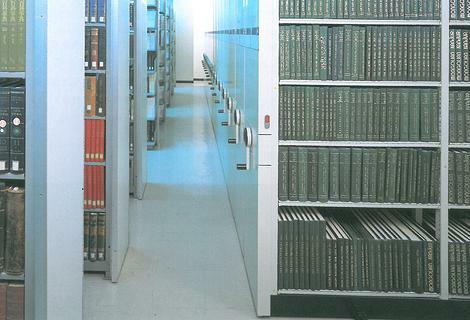 It also preserves approximately 10,000 volumes of scholarly journals distributed by such institutions. Asiatique from Dr. Lokesh Chandra of the International Academy of Indian Culture.